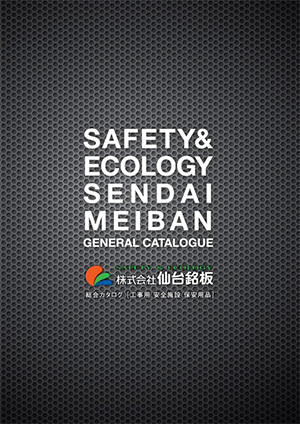 Welcome to Sendai Meiban, the provider of high-grade safety products through excellence in service. As safety professionals, we develop, sell and rent safety items to prevent accidents from occurring at construction sites. 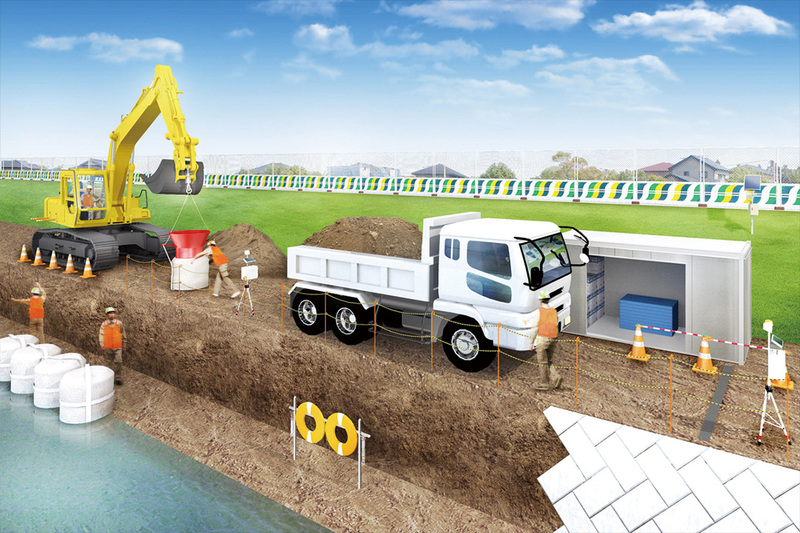 3) eco-friendly practices that are "Kind To Our Planet"
With more than 30,000 safety products to choose from, you can be assured that you will find the best solutions to safety issues at construction sites. We have now opened our company website in English language. 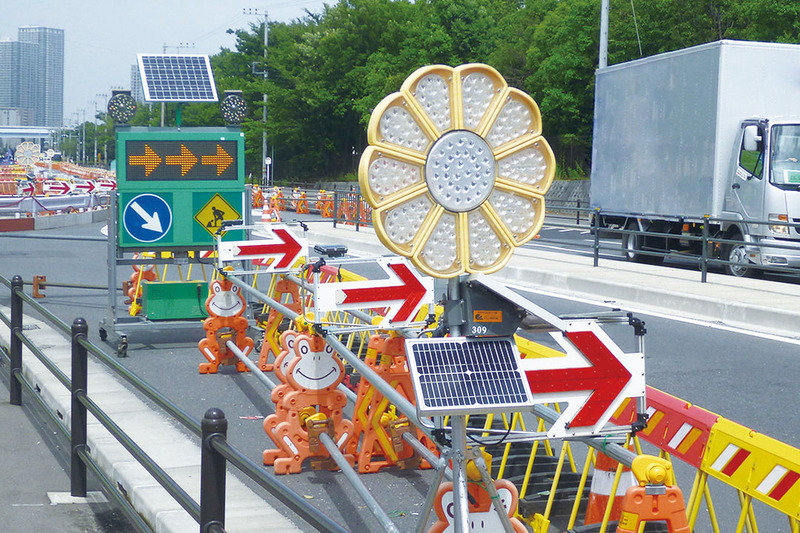 Provided with cut-outs for wind to pass through, TT Cones are more difficult to be moved or toppled over by the wind than our standard cones for rent. 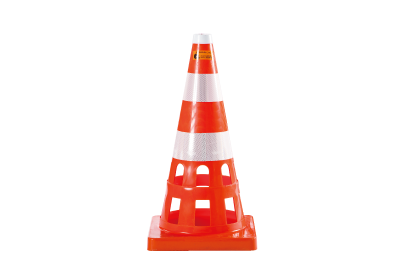 Since these cut-outs also allow you to check for any object placed under the cone without lifting it, that require counterterrorism security measures. 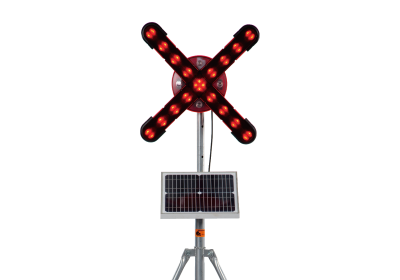 The Solar Smart Marker is a safety flasher designed to be mounted on top of smart cones. 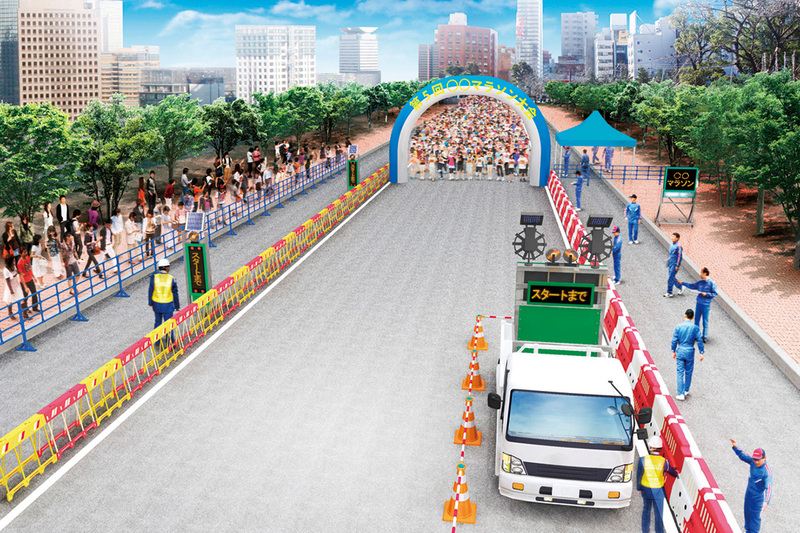 They can be attached to various types of smart cones. 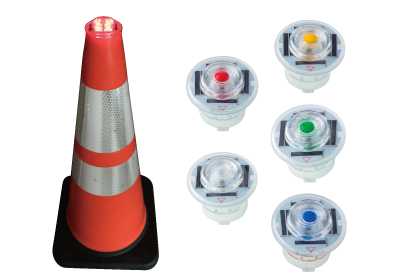 Their on/off switches are structurally protected from accidental operation while mounted on stacked cones,there by saving you the trouble of attaching or detaching flashers every time you position or remove safety cones. The flashed also features a special optical design which enhances the excellent visibility. 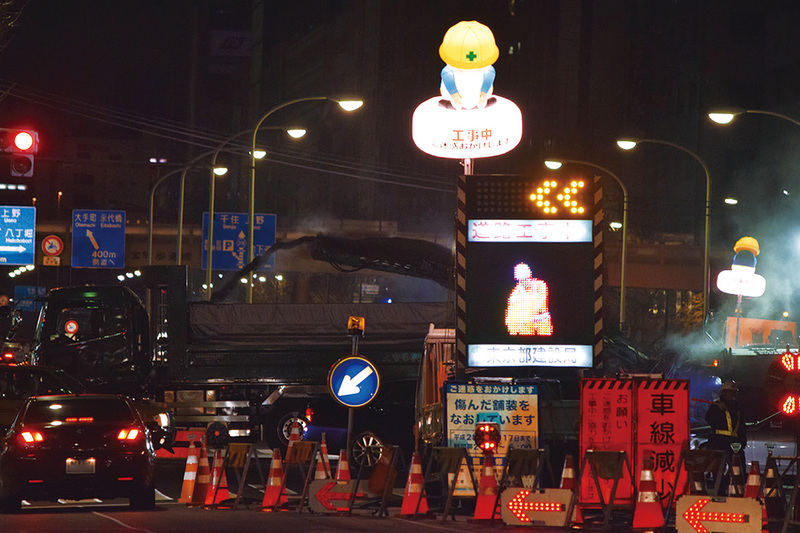 Leading-edge VR technology can resolve issues regarding education about safety at construction sites! This product was created to help prevent the occurrence of on-the-job accidents at construction sites. 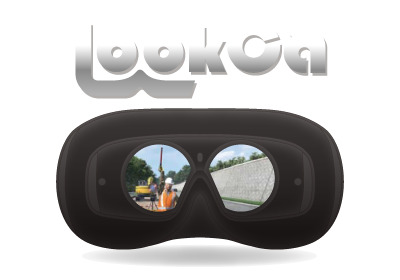 LookCa is useful for providing safety education at construction sites. Using the virtual reality head-mounted display, trainees can learn the following through VR simulations: causes of accidents, the viewpoints of actual victims; and for heavy-equipment accidents, the viewpoints of operators. 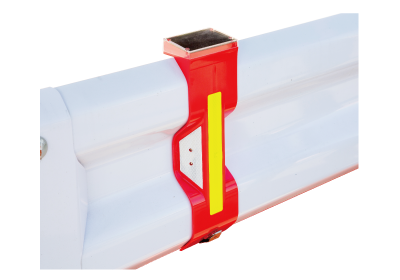 A solar synchronous flashing LED light for guardrails.It can blink for 120 hours with no sunshine. 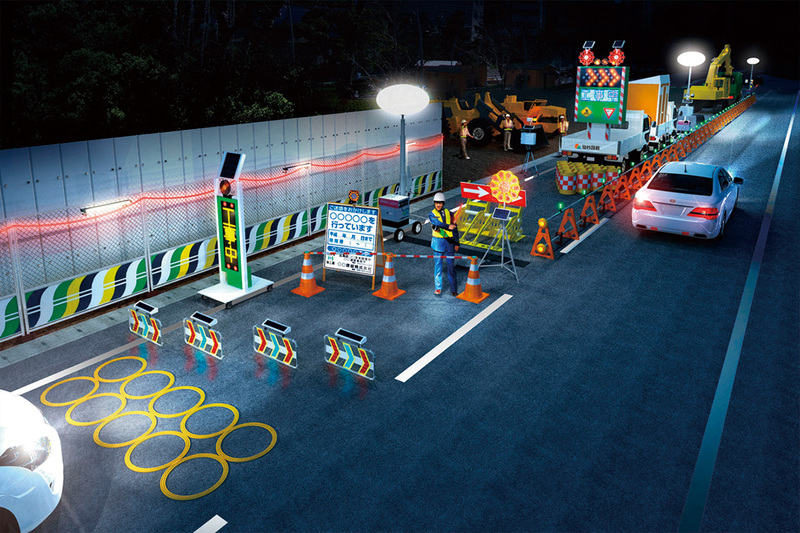 The Neo Cross Arrow has a synchronization function that enables multiple units to flash synchronously, and features multiple flash patterns for use in different situations. Mounted on a tripod, the light is positioned high enough to be seen from a distance. 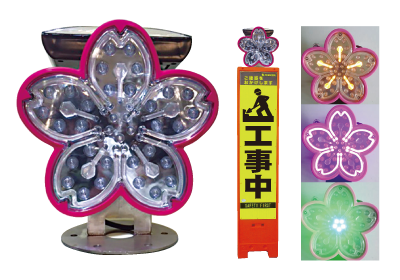 Shaped in the notif of a cherry blossom,this large solar revolving light utilizes a taillamp used in automobiles. The light automatically adjusts the frequency of the flash and degree of brightness according to whether it is day or night. 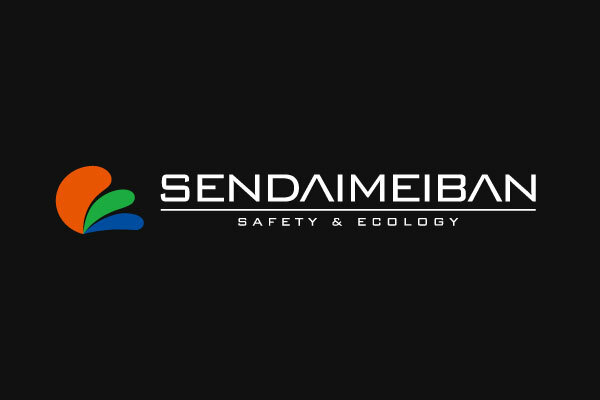 Koji Atsumi Representative Director and President/CEO, Sendai Meiban Co.,Ltd. We collect information about your behavior on our website using cookies. Information collected using cookies can identify your browser and may be linked to your personal information. Cookies are text files, which remember the browser information of a visitor to our website and are stored on the visitor’s computer, mobile phone, tablet, and other digital devices. The information contained in the cookies is used to provide a smoother browsing experience when the user visits our website again. ・Analyzing your log information statistically to improve your experience on our website and our online offerings. ・Showing better advertisements and information that will be of interest to you based on your log information on our website. We may share your log information on our website with our advertising partners. The information shared does not contain any personally identifiable information, such as your name, address, date of birth, or telephone number. To prevent your information contained in cookies from being used by advertisers for displaying advertisements (opt out), visit the opt-out page of each advertising company’s website. If you do not want us to collect information on your browser, you can block cookies we send by changing your browser settings. Note that if you disable cookies, some pages on our website may not be displayed properly or open at all. Copyright © SENDAI MEIBAN All Rights Reserved.